One of the most enduring hard rock groups to emerge from the Japanese "band boom" of the mid-'80s and early '90s, Blankey Jet City crafted a tight and tough glam-inflected sound. 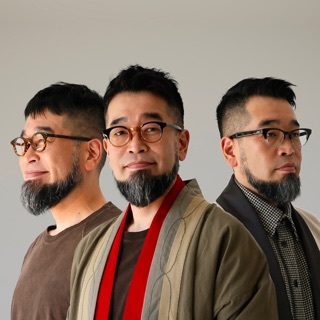 Anchored by the distinctive vocals and songwriting of guitarist Kenichi "Benzie" Asai, the trio of Asai, bassist Toshiyuki Terui, and drummer Tatsuya Nakamura arrived on the Tokyo scene just as an expanding market was forcing the Japanese music industry to dismantle its outdated assembly-line approach. BJC, writing their own material and emphasizing yearly tours, both benefited from and helped foster this move toward a de-professionalized atmosphere. Throughout, Asai -- taking cues from Marc Bolan, Iggy Pop, and Johnny Thunders -- steered the line between punky chattiness and balladry. His jerky stop-time guitar rhythms, emotional directness, and lyrics peppered with references to a fictional postmodern metropolis, dubbed "Blankey Jet City," provided the group with a recognizable style while leaving it room to evolve. En route to amassing a thick catalog and a feverish following, the three-piece bred a bevy of side projects and collaborations before dissolving in the summer of 2000. At the age of 25, Asai moved north from the Aichi Prefecture to the capital, reputedly leaving behind the bosozoku world of youth motorcycle gangs. He convinced Terui, with whom he'd played in a rockabilly outfit, to join him in starting a band, and the two quickly enlisted erstwhile punkster Nakamura. After working the Tokyo circuit, the newly christened Blankey Jet City received an almost immediate kick-start in February 1990, when they earned a spot on the popular late-night television show Ikaten (full name Heisei Meibutsu Ikasu Band Tengoku or Paradise for Cool Bands). The "battle of the bands"-style show aired on TBS (Tokyo Broadcasting System) from 1989 to 1991, featured up-and-coming amateurs, and was the first introduction of straight-ahead rock & roll to Japanese TV. BJC, with their aggressive, leather-jacket persona, went on to win five weeks in a row, becoming only the sixth band to take home the grand prize. Toshiba-EMI quickly signed the group, and in April 1991 BJC released their debut, Red Guitar & the Truth (a reference to U2's version of "All Along the Watchtower"). Undaunted by disappointing sales and under pressure from the label to generate interest, they embarked on their first nationwide tour before recording a second LP, Bang! (1992). The unit had long since gained a reputation for shows that flexed the full musculature of its sound, and the label duly brought out a live album in the wake of Bang! The next two years set the pace for BJC's prodigious output. In 1993, they dropped both the Metal Moon EP and their third full-length, C.B. Jim, which led off with the spasmodic fan-favorite "Punky Bad Hip." A more adventurous album, introducing a fuller sound and a brass section, arrived midway through the following year under the title Shiawase no Kane ga Narihibiki Boku ha Tada Kanashii Furi wo Suru. Prompted by the poor production quality of their debut, BJC decided the next step was to compile a selection of singles and re-recordings, The Six. One last LP for Toshiba, Skunk, came out later in 1995, representing the group's most mature effort to date. Meanwhile, the group's horizons seemed to be expanding. In October 1994 they played for the first time outside of Japan, giving two shows at the Garage in London. Brief international tours would follow in the U.K. (Leicester, Turnbridge Wells, Exeter, Portsmouth, and London) and the U.S. (New York City and Los Angeles) in 1995 and 1996, respectively. BJC, however, never caught on abroad, and in the mid-'90s the members began turning their individual energies elsewhere. Asai conceived the dream pop quartet Sherbets, with Qumico Fucci on keys and backup vocals, Kenichi Nakata on bass, and Kimitoshi Sotomura on drums. Meanwhile, Terui organized Jim Spider, and Nakamura began Love Shop Losalios. Nakamura's jazz-rock solo project would be reborn two years later as an eight-piece, Losalios, including all of BJC and Katou Takashi of Tokyo Ska Paradise Orchestra. After extended disagreements with their label, BJC moved to Polydor to release the self-produced Love Flash Fever (1997), a showcasing of their music's surf-rock facets. The live compilation Kokkyo Senjo no Ari came out in January of 1998 before the group's eighth LP, Romeo No Shinzo. The latter continued in the vein of Love Flash Fever, but the addition of rudimentary samples and a knockout single ("Akai Tambourine" or "Red Tambourine") made it the group's best-selling yet, with fans snatching up over 300,000 copies.